With a look all its own, this set demands attention. 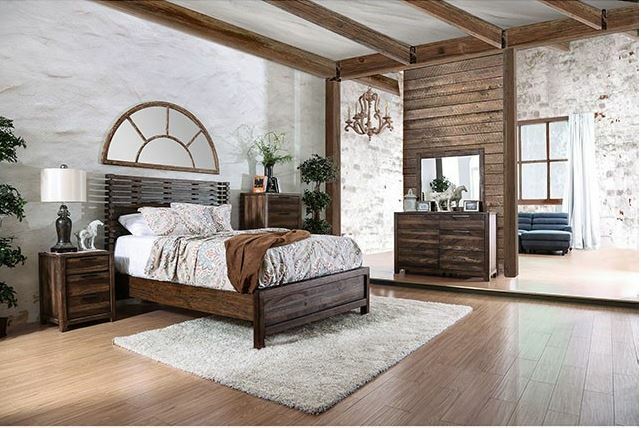 The rustic natural tone finish enhances the slatted, wingback style headboard and emphasizes each drawer panel. 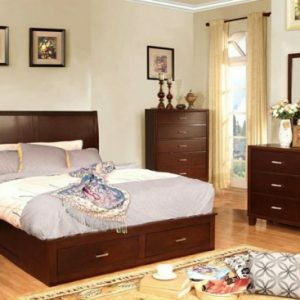 Matching case goods are each equipped with ball bearing metal glides and felt-lined top drawers.